"Vintage Style Potpourri Jar : Creative Monday Blog Hop…"
A host and its guest. Wow how do you get so close to your subject? Amazing photo again! Gorgeous! And love the fact that the flower does not look perfect. 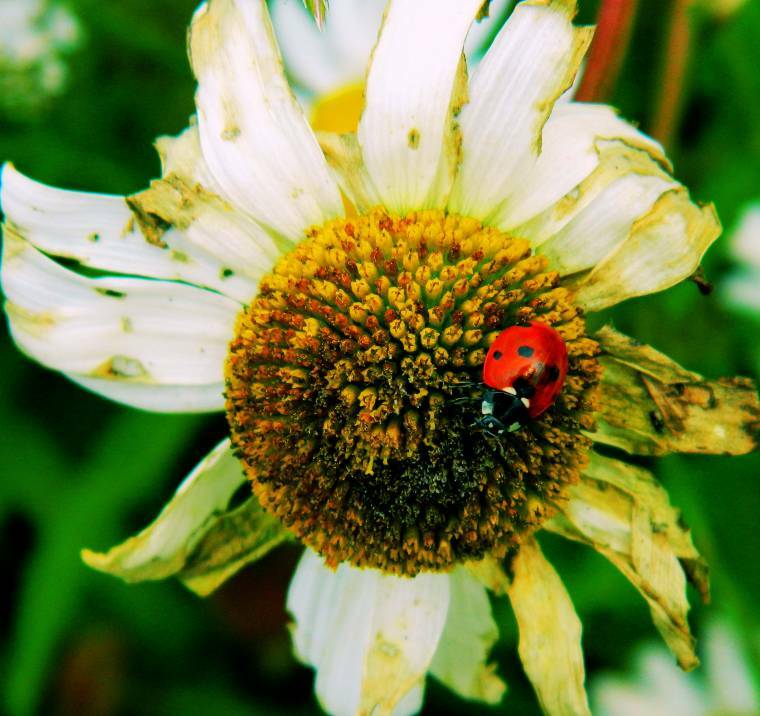 that ladybug has it work cut out for it!fabulous capture! Gorgeous capture, C! Love it!Have a blessed Sunday! Now that is my favourite of yours to date, perfect! Fantastic photo….very envious of your skills! Hello little ladybird, so pretty! you have photo taking talent!!!! That's a fine photo! I like ladybug..